This spacious 2-bedroom, 2 1/2 -bath duplex resides on one of the best blocks in landmarked Fort Greene, Brooklyn. 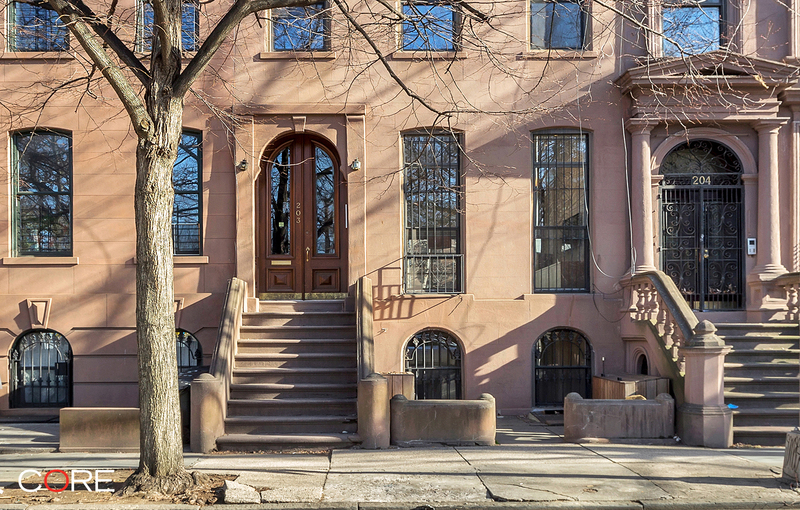 203 Washington Park is a spacious 21-foot Italianate brownstone with an impressive facade. The newly renovated lower duplex apartment boasts concrete radiate heating on both floors, 12-foot Parlor floor ceilings, sliding glass doors that span the entire back wall on both the parlor and garden floor, and a master bedroom with direct access to a well-manicured backyard replete with a private salt water sauna. 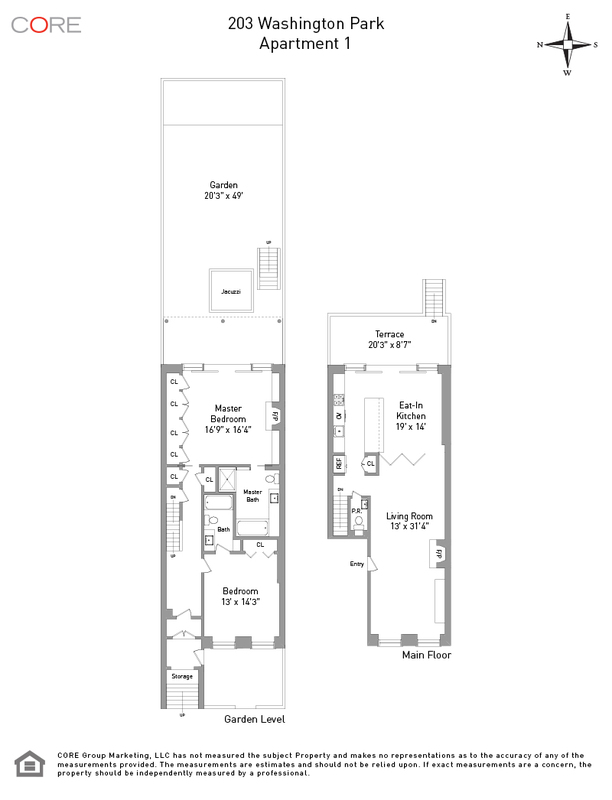 With 1,700 square feet of living space and 1,300 square feet of outdoor space this apartment delivers a sense of expanse and accessibility rarely seen in tandem. Enjoy the well-curated and historic Fort Greene farmers market every Saturday directly across the street. This prefect location also puts you within blocks of an ample supply of local wine shops, coffee shops, restaurants and bookstores. Transportation is equally accessible with the Q train at DeKalb, making a commute into Manhattan efficient; Canal Street is one stop away and Union Square is only two stops away.